I remember my ordination service vividly. Probably because it was this past February. Also because I was able to preside at the Eucharistic table and serve communion to family, friends, and neighbors who joined in the celebration. The opportunity to break bread and share the cup was what I most looked forward to as an ordained Teaching Elder and, more preferred, Minister of Word and Sacrament. In seminary and throughout my theological studies, the sacraments were taught as a means of grace. Presbyterians are also apt to affirm the ordinariness of the elements, a visible sign of an invisible grace. Water. Font. Bread. Cup. Wine. Juice. Ordinary. Common. Everyday. Tangible. Not much has changed in nearly two-thousand years of Christian tradition and sacramental practice. Theological nuances of the practice have varied; nevertheless, we still use the same basic elements. And these elements point beyond themselves. * They point to the God made known in Jesus Christ and the Spirit who calls and sends us all into the world as embodiments of the very means of grace that drench our heads and nourish our bodies. The sacraments are simple reflectors. These liturgical elements, in a certain sense, were also ancient and sacred technologies of the church. technology, n. the mediums and/or tools used to apply knowledge of something [or someone] of significance for real and practical purposes. As the real and practical mediums of bread, wine, and water are used to apply the knowledge of and bear witness to the Crucified and Resurrected Christ, the sacraments serve a technological function. The ordinary also becomes holy. In the Digital Age, might this be the framework in which the Spirit invites us to view the everyday mediums of social media, digital devices, on-line platforms, and new technologies we hold in the palm of our hands or upon our laps? As twenty-first century disciples of Christ, the witness of the early Church dares us to consider not only the sacraments as technological but also the technological as sacramental. We are nudged to consult all available mediums and tools within reach to apply our knowledge of the One who gathers us at font and table and sends us from these sacred, technological spaces. “The church can’t change her response to Gutenberg’s printing press, the radio, or the television; they are forever fixed in history. But at the onset of this digital revolution, her response to New Media is wide open. The world is waiting and listening in the virtual sphere. Will the church remain silent, or will her voice be proclaimed from the roof tops (and the laptops)? Will she plunge the message of Christ into Facebook feeds, blogposts, podcasts, and text messages, or will she be digitally impotent? If the Church’s promotion of evangelization, formation, community, and the common good is to continue throughout future generations, she must harness these technologies and utilize them well." The Christian church continues to wrestle with how to engage the digital revolution of the last 25 years. Especially since the advent of social media and on-line networks, we are more connected than ever before. New and innovative technologies are more accessible than at any point in human history, being used for both good and ill. Think of all the hashtags that have birthed social movements through open-source rhetoric. Think of all the Facebook posts that have perpetuated various forms of hate speech and slander. 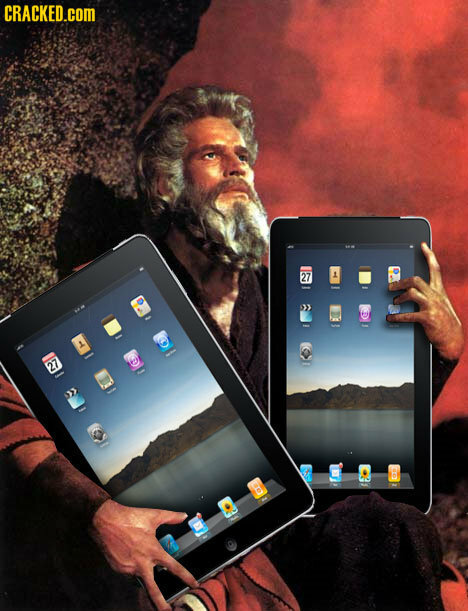 As a result, many church leaders and members of our congregations become admittedly overwhelmed, overly indulged, or even dismissive of new technology and media. Our on-line world creates unique challenges for congregations and related pastoral care as we live into the emerging cultural realities. Nevertheless, we must not throw out the baby with the bath water. Instead, we must regularly ponder which forms of new technology our congregations and ministries will use and how we will use them as means of grace for practical purposes of loving and serving our local and global neighbors. We must be willing to view various forms of technological innovation not solely as evolving distractions, although aware of such possibility, but as redemptive opportunities for community formation, social advocacy, prophetic witness, and proclamation of the Good News. In so doing, the ordinary technologies we apply become sacramental platforms versus trendy widgets void of broader meaning. They are able to take the Gospel to the ends of the earth, pointing beyond themselves and towards God’s dreams for a world made new and right again. That’s what our earliest ancestors of the faith did with bread, cup, and water as they went viral with the Good News of Jesus Christ. May we be at least as technologically innovative as they were two millennia ago. *"We cannot celebrate and receive the sacrament ordained by [God] without looking beyond the sacrament as such and finding [God] in the sacrament" (Karl Barth, Church Dogmatics II.1 p. 50).